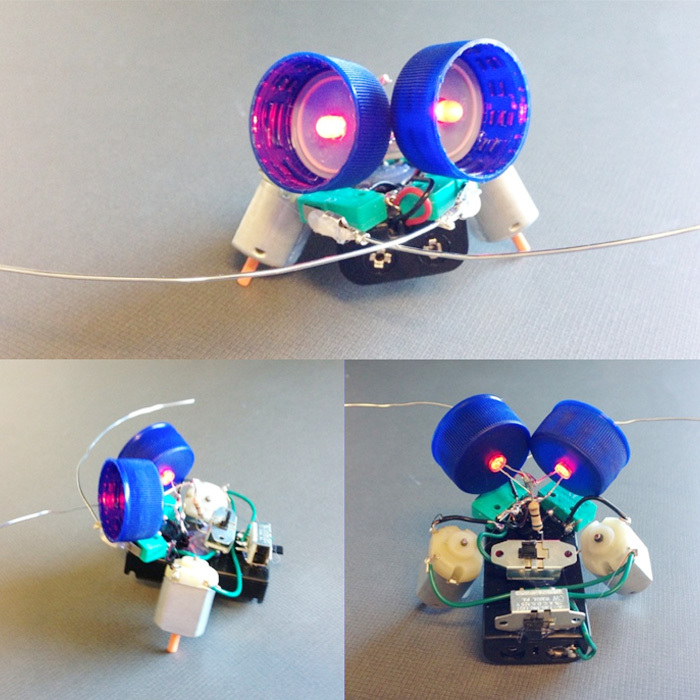 Learn the basics of circuits, LEDs, and motors and combine these elements to build bumpyQ, a robot that turns when it bumps into something. Students will also learn how to build reverse circuits with use of switches. If you are in Grade K, 1 and you have no experience with electronics, gadgets or computers we recommend that you take the Tinkering exploreQ camp.